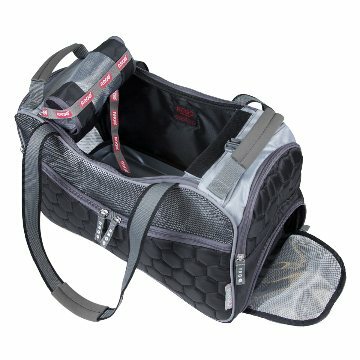 The Petagon by ARGO was designed especially for all the canine-loving pet fashionistas who travel with their furry friends everywhere, whether it's taking your furry friend for a day out in the city or going away on vacation. 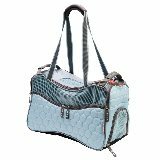 The Petagon is Airline Approved and meets TSA requirements for pet carriers in passenger cabins. The Petagon fits perfectly underneath an airline passenger seat. 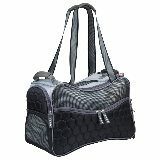 The Petagon is made with ultra light weight plush diamond quilting material; with 5 external zipper pockets for easy organization and storage; it has a double zipper top for easy entry; made with dual layer mesh windows for reinforcement and providing great ventilation; it has a smart strap for car seat belt to slide through; comes with a removable water-resistant cool padding for quick cleaning. The Medium Petagon is recommended for pets up to 15 lbs. Recommended for pet up to 15 lbs.